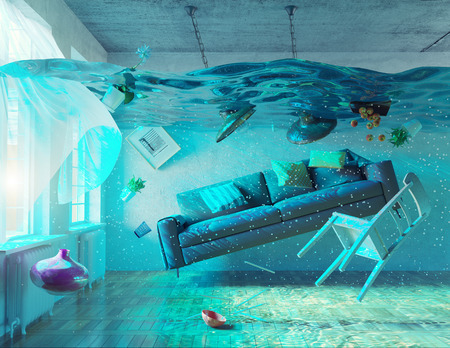 Water damage can come from a wide range of plumbing issues. A slab leak, a bathtub overflow, a faulty water heater and more can cause tremendous damage in a short period of time and even pose a structural threat. Sitting water and extended periods of moisture can result in microbial growth and can seep through drywall, collect behind the walls and lead to dangerous mold spreading throughout a home. 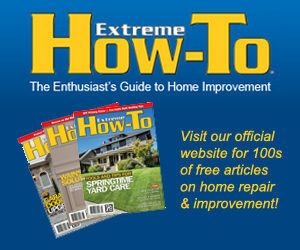 When it comes to water damage, the first question for most homeowners is where to begin. The first step is take a deep breath. Then, you’ll want to work quickly yet systematically to minimize the damage. There are many ways leaks are first identified. It is often a noticeable drip or a damp wall or ceiling. However, it can also be subtler, such as an area of the floor that feels unusually warm or the sound of water running through pipes when no faucets are turned on. If you suspect there’s a leak, the first step is to find the source. If it is hidden within a wall or under a floor, it’s wise to call a licensed plumber immediately. Even a small leak in a pipe within a wall or under a floor can result in damage and significant water loss. In most cases, you’ll have to turn off the water at the main valve until the plumbing issue can be resolved. If there is flooding, also turn off electricity at the source. If you have to stand in water to turn off the electricity, don’t attempt to turn it off. Instead, call an electrician right away. Once the water is no longer flowing, you can begin to assess how much repair and cleanup effort will be needed. Before any repair work begins, it’s wise to take plenty of photos and an inventory of damaged items if you’re going to file an insurance claim. If the water damage is caused by a leak in a pipe, your best bet is to immediately contact a plumber to make the necessary repairs. However, if there is an inundation of water, you also may need to call a water removal company. A certified company follows set procedures to remove water and eliminate the possible health risks of water damage. It’s important to remember that the longer water sits, the worse the damage will be. If you will be removing standing water yourself, wear protective gear, including rubber boots, globes and a mask or respirator. Make sure to keep children and pets away from any standing water. Small amounts of water often can be removed using a wet-dry shop vacuum. Most hold four to five gallons. Flooring, carpet and drywall will likely need to be replaced. Framing behind drywall may also be wet. Industrial fans are often used for several days to dry out structural elements before other repairs can be made. Along with using fans, open up windows to reduce humidity and remove all wet items from the impacted area, including furniture, rugs, carpet, books and toys. While mold typically cannot be removed from carpet or rugs, other items can sometimes be cleaned and disinfected. Once the water has been removed, you can begin to identify visible mold. While it can be easy to spot in some areas, it can also grow in hidden areas, such as air ducts, crawlspaces, between walls and in rafters. Along with looking for patches of mold growth, use your nose to detect any noticeable earthy smell that indicates the likelihood of mold growth. Many homeowners are surprised to learn that mold begins to grow within 24 hours of exposure to moisture and will continue to grow until the moisture is completely removed and the mold is eliminated. In leaks that are undetected for an extended period of time, the mold growth can be substantial and require professional remediation. Hard surface items that were possibly exposed to mold should be cleaned with a non-ammonia soap and hot water then disinfected with a 10 percent bleach solution. Items with porous surfaces, such as furniture, clothing and bedding are more difficult to disinfect. The safe bet is to throw them out. However, if keeping them is a must, clean them with a pine-oil cleaner and let them dry out completely. Check them for several days after cleaning to ensure mold growth doesn’t return. If mold continues to grow, throw them out. While it’s not possible to eliminate the risk of all plumbing leaks, there’s much you can do to minimize your chance of one happening again. This begins with fixing faulty plumbing, including leaky pipes, clogged drains and drainage issues. Regularly check washing machine and dishwasher hoses for cracks and your water heater for signs of rust. It’s also smart to have the phone number of a skilled, professional plumber handy. Plumbing problems often happen at the most inopportune time. By having access to a trusted, quality plumber when you need one, you can eliminate the chance of working with a less-than-qualified provider who may or may not be able to fix your particular problem.